A busy week coming up and full of fun stuff! A friend is getting married this weekend and was lovely enough to trust me to make her bouquet. It is a lovely collaboration but now I’m having day-mares that it is going to die and fall apart before the wedding tonight! Hold a good thought! 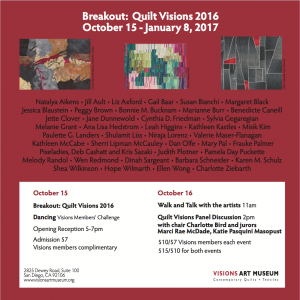 On Monday, I’m dropping off my quilts for the Pacific International Quilt Festival (PIQF) opening this Thursday. If you’re anywhere near the south bay, stop in at the Santa Clara Convention Center and check it out! 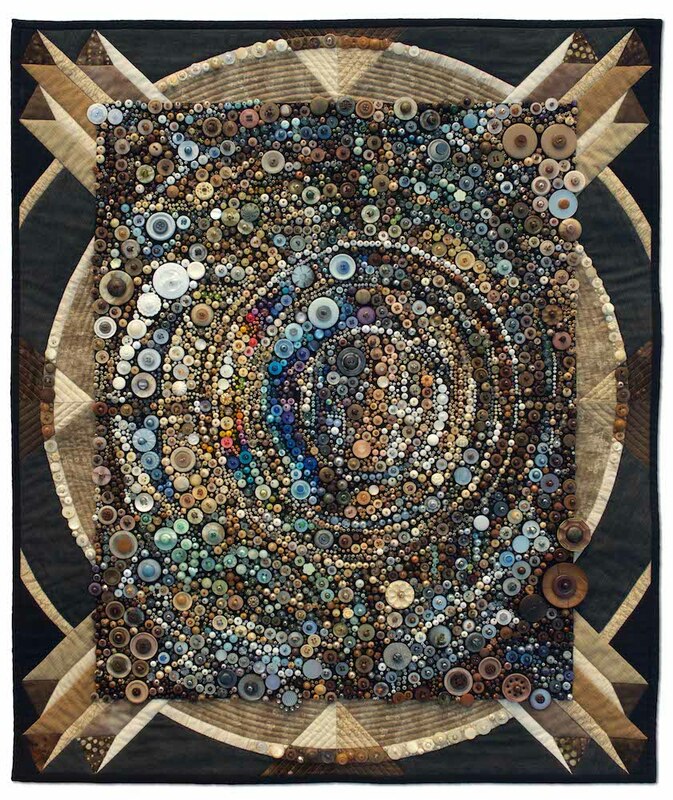 I have two quilts that were accepted this year – Beacon and High Voltage Birds. You’ve heard the story behind High Voltage Birds but now I’ll tell you a bit about Beacon. Beacon is my impression of an antique lighthouse prism. I tried to capture some of the feeling of refracted light and some of the depth while looking into the prism and then played around with designing the border mimicking the circles and the prisms. It’s funny, but I’m still trying to decide how I feel about this piece. It was a departure from what I’ve done in the past in some ways and pushed me in different directions, which can be a good thing sometimes. I’ll let you know when I’ve come to a conclusion! PIQF is always a fun show and I love wandering through the quilts and seeing how many of the Santa Clara Valley Quilt Association members have quilts hanging in the show! We are a mighty group! One year I think we should make it a member game to see who can find all the member quilts hanging in the show. The first one to find them all to win…??? Suggestions? 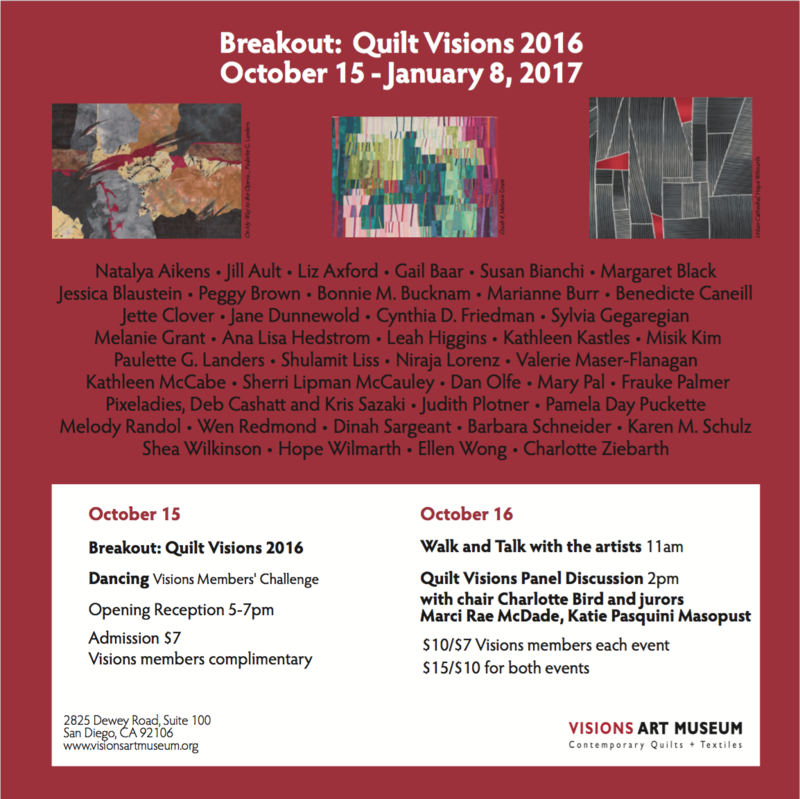 The same weekend (of course because it never rains but pours) is the opening of Breakout: Quilt Visions 2016 in San Diego. I’m lucky enough to be one of 41 artists chosen to display a piece in this show. Very exciting! The quilt in the show is Stonecrop Tapestry. The only slightly terrifying thing about the opening weekend is that I have to give a two minute talk about the quilt. I have no idea what to say so I’m procrastinating preparing! Feeling slightly intimidated speaking in front of some truly amazing artists!!! Help! Hopefully I’ll pull it together and prepare something that will sound fairly coherent other than, “Yeah. I made this. I used buttons and beads. It came out kind of pretty.” Somehow, I don’t think that will cut it. I am so looking forward to hearing all about these events. I know you’ll find the right words when you need them. Don’t sweat it. You have everything to be proud about. And you are an artist — now and always. Love you! Your big sister. Congrats on the shows! 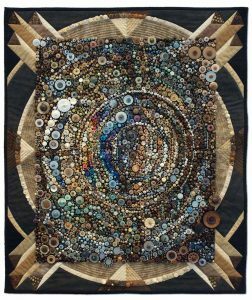 The Santa Clara Valley Quilt Association has amazing quilters! And I would love a peak at that bouquet. I hope holds. I enjoyed seeing these quilts at PIQF. High Voltage Birds is always one of my favorites. Beacon is wonderful interpretation of a Fresnel lens. So cool to see how your mind works, Sue.